If you own your own business, contracts are a major part of what your business does day to day, whether it be for the lease of your premises, hiring of your employees, purchasing stationery for your business or supplying goods and services to your customers. As a business owner, one of the most important skills you can learn is to make sure a contract is right. A person must have a legal ability to enter into a contract in the first place. For example, a person who is unable due to intoxication or mental impairment to understand what he or she is doing when they sign a contract, may lack capacity to enter into a contract. In those circumstances, the contract may be unenforceable. A contract can be unenforceable because of a mistake of one party, which is known as a unilateral mistake or a mistake of both parties, called a mutual mistake. To render a contract unenforceable, the mistake must have been important and also must have significantly affected the contract bargaining or performing process. It is important to remember that failure to read the contract does not render the contract unenforceable or voidable. If the process of entering into the contractual terms in the said contract are considerably unfair to a party, the contract may be deemed to be unenforceable by the Court. In such circumstances, the Court will look at whether a party had unequal bargaining power or alternatively difficulty in understanding the terms due to, for example, language barriers, and therefore whether the terms were inherently unfair. If consent for a contract is obtained through “sketchy ways” such as threats, false statements, coercion or improper persuasion, this can render a contract unenforceable. In such circumstances, the Court needs to write the contract down as unenforceable or the victim of the unfairness can void it. Some contracts are deemed to be unenforceable because allowing such contracts could be deemed to go against the goals of public policy such as public health and safety. Such examples include contracts for illegal drug sales. It is critical in business relations to have properly drafted and executed supply and/or service contracts. Such contracts are essential business tools for professionals, trading and business relationships. Without clearly defined and agreed contracts, misunderstandings can develop, expectation of client/customer and provider fail to match, which can lead to all sorts of problems arising. The best way to make sure you have all things covered is to make sure the contract is in writing. If you are supplying goods and services to customers, at the very least if you do not have a written contract, make sure there is a valid and clear paper transaction showing what business you have done with your customer. It is important to ensure contracts are in place for all ongoing transactions. A properly drafted contract will protect your rights. Industry or government bodies often produce standard form contracts for use within a particular industry. In these circumstances, it is recommended that you still seek legal advice in respect to the standard form contract to ensure the contract reflects the term on which you intended to contract with the other party. Standard form contracts sometimes contain provisions which are not in a party’s best interest. You need to make sure that you read carefully all terms contained in the standard form contract and seek advice or clarify any clause you do not understand. All contracts are negotiable regardless of what the other party is telling you. You have the right to negotiate terms. 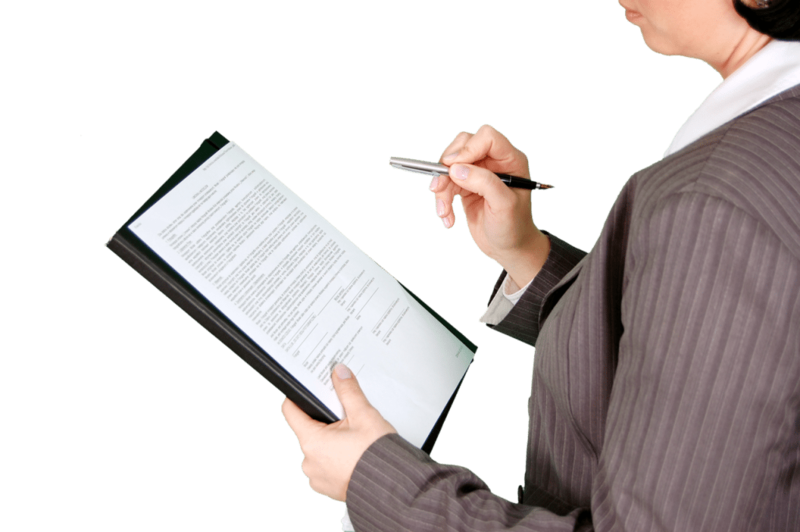 It is important that every page of a contract is carefully read to ensure that you are comfortable with the contract and how it will operate. If you are not happy with a particular clause in the contract, negotiate to have it changed or removed. If you do not understand a particular clause, you should seek advice to make sure your rights are properly protected. A well designed service contract provides a very useful platform and constant reference point for good, positive, mutually-beneficial trading relations, so it’s worth thinking about it and getting it right from the outset. The process of agreeing to a contract is therefore, aside from anything else, an excellent way to flesh out and make transparent all aspects of the supply or service arrangement, much of which is otherwise commonly “taken for granted”, usually including many wrong or mismatched assumptions on both sides. A good trading contract enables such risk to be averted.